The Trump hotels in Toronto and Vancouver are two of 14 Trump properties to have suffered a cyber security breach, in which guests’ credit card information, names, addresses and phone numbers have been exposed. 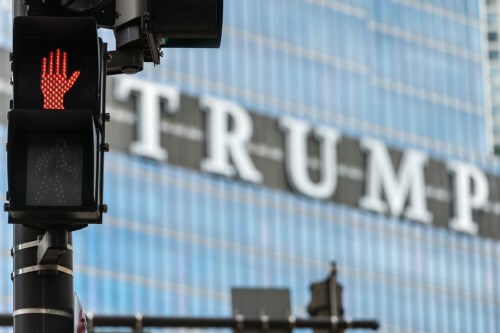 Affected reservations at the luxury hotel in Toronto were between November 18 and 21 last year, according to a notice on the Trump Hotels website. The breach occurred within the systems of Sabre Hospitality Solutions, a reservation booking service used by Trump Hotels. A report by the Washington Post said the breach did not compromise the company’s internal systems. Trump Hotels was notified of the security breach on June 05. The company said “the privacy and protection of our guests’ information is a matter we take very seriously,” but declined to comment further when pressed. This latest cybersecurity attack comes less than a year after a data breach at Trump Hotels led to the exposure of more than 70,000 credit card numbers and 300 US social security numbers. The company was ordered to pay US$50,000 to New York state after it failed to notify customers immediately after the breach. Hotel chains can be easy prey for cyber hackers if they don’t have the necessary cyber insurance and mitigation procedures in place. They tend to store huge amounts of personal data and credit card information, often across multiple properties. He added that the luxury chain has likely become more appealing in recent months as people try to buy favour with President Trump. “If more people are staying there in an attempt to curry favour with the government, the fishing pool of targets is certainly greater than it was prior to November,” he said.